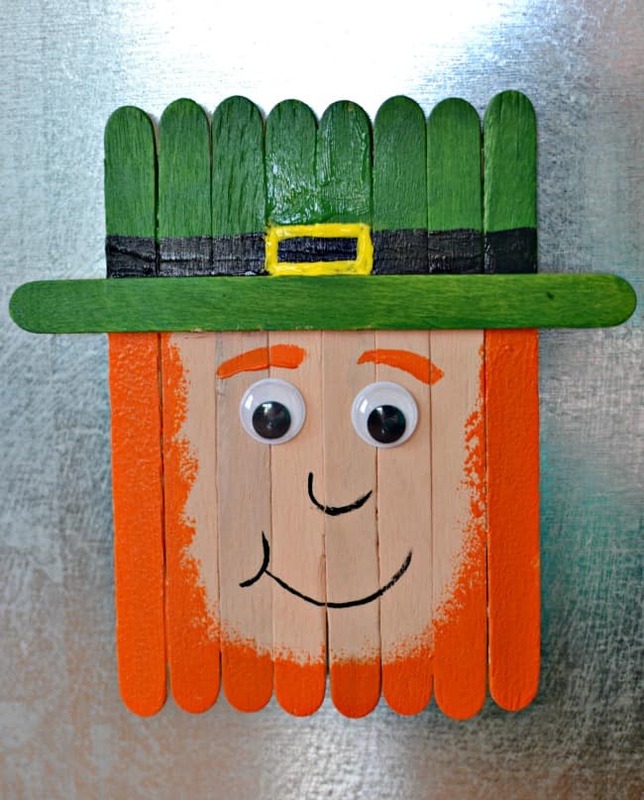 Popsicle stick crafts our some of our best posts on Today’s Creative Ideas so of course I wanted to add in something for the St. Patrick’s Day holiday. What says St. Patrick’s Day more than cute leprechauns? 1. Start off by using craft glue to glue on your craft sticks, 8 of them, to your card stock or cardboard. It really doesn’t matter what you use for the backing just as long as it is strong enough to support the sticks. Also, make sure that you cut your backing so that it’s not longer or wider than the Popsicle sticks. Let dry! 2. 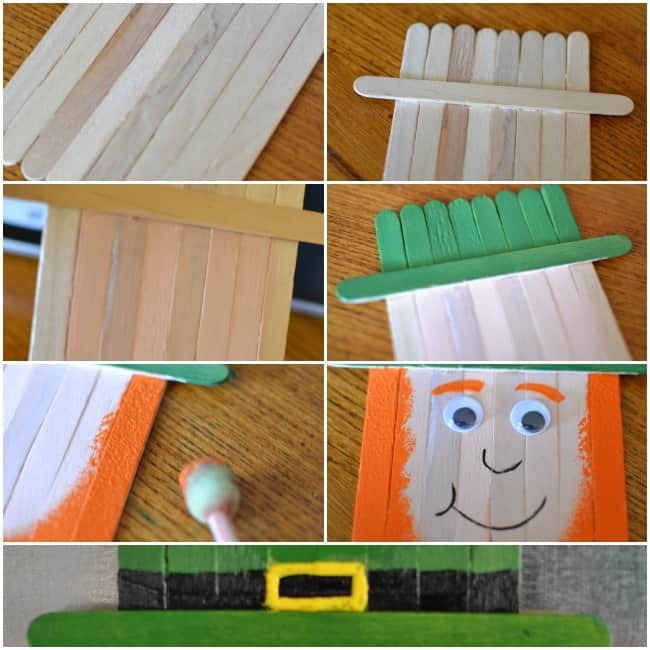 Attach the additional Popsicle stick to the front creating the rim of the hat. 3. Using the peach craft paint, paint the bottom portion (below the hat rim) so that you can create his face. 4. Using the green craft paint, paint the top portion. This will be the leprechaun’s hat. 5. We used a stipple (or stamper) style brush and painted on the orange for his beard. You don’t have to use this style brush but we felt like it gave the beard a more “realistic” look. 6. Now that you have his beard done you can paint on the rest of his face and attach his wiggly eyes. 7. The final painting step is to paint on a belt and buckle to his hat. 8. 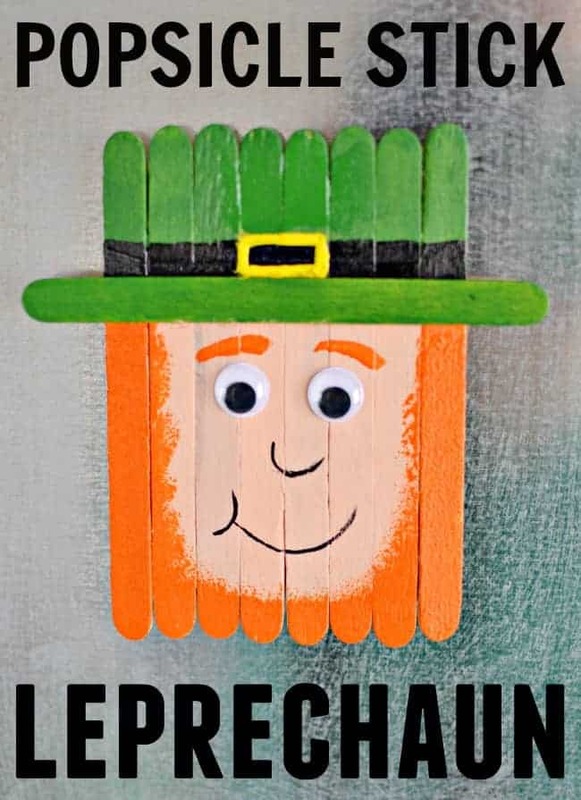 Lastly, (which is optional) attach a magnet to the back of your leprechaun. We used one .75 inch adhesive magnet to hold it up. Leprechauns are essentially a type of fairy. 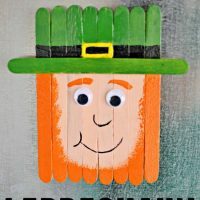 Although super cute in this craft tutorial, Irish folklore leprechauns are often not cute or even nice. Most leprechauns are known to be tricksters. Want to print these craft supplies and instructions? 1. Start off by using craft glue to glue on your craft sticks, 8 of them, to your card stock or cardboard. It really doesn't matter what you use for the backing just as long as it is strong enough to support the sticks. Also, make sure that you cut your backing so that it’s not longer or wider than the Popsicle sticks. Let dry! 4. Using the green craft paint, paint the top portion. This will be the leprechaun's hat. 5. We used a stipple (or stamper) style brush and painted on the orange for his beard. You don't have to use this style brush but we felt like it gave the beard a more "realistic" look.